The South Korean Electronic goods maker has LG has launched a new Smartphone in Russia LG L65 which runs on the latest Android Kitkat 4.4.2 Operating System. The Smartphone has available in Russia at a price of RUB 7,490 which is approximately equal to $210. The Smartphone will come in Single and Dual SIM variants. Now Dual SIM variant is launched by LG. The LG L65 Dual is an Android based Smartphone. It has a a 4.3-inch IPS LCD display with a WVGA (480×800 pixels) resolution, which has a pixel density of 217ppi. The LG L65 Dual measures at 127.2 x 66.8 x 9.6 mm which is almost similar to the L70, with just 0.1mm added thickness. 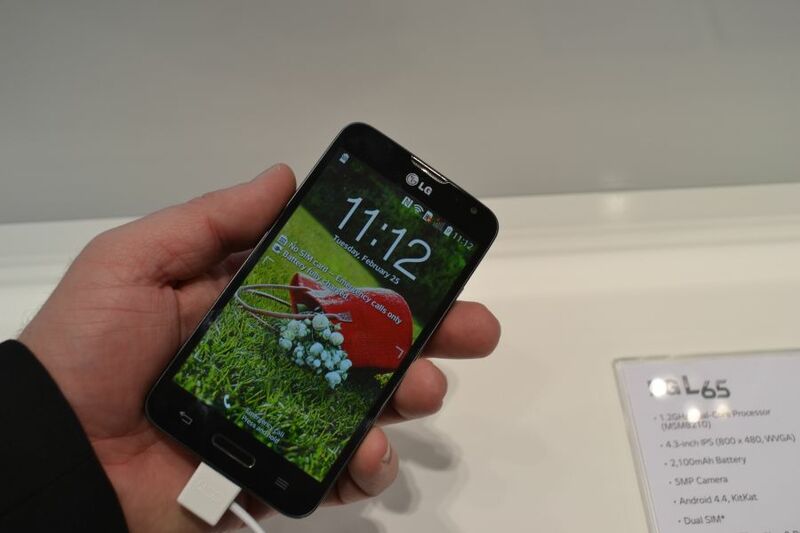 The LG L65 is available in two colors – Black and White, and weighs 126 grams. The L 65 has also come with the famous Knock Code feature. The Smartphone has packed with a 1.2 GHz dual-core Snapdragon 200 processor, which is coupled with a 1 GB of RAM which is similar to the LG L70. The Smartphone has a 4 GB inbuilt storage, which can expandable up to 32 GB through a MicroSD card. The L65 has 5 mega-pixel rear view camera with LED flash. The camera comes with auto-focus, Geo-tagging and direct sharing feature. It also has a front facing camera of 0.3 Mega-pixel which is only used for video calls and Chatting purpose. The LG has also designed a smart cover which they called Quickwindow for the L65 Dual. The Quickwindow of LG L65 has provided an instant access to the clock, weather, music and more. It also allows the user to accept or reject the call from the cover. Connectivity : Wi-Fi, Wi-Fi Direct, Bluetooth 4.0, GPS/AGPS, EDGE/GPRS, micro-USB and 3G.